Nortek, Inc. has signed an agreement of acquisition by Melrose Industries PLC, a U.K.-listed buyout specialist, for $86.00 per share in cash—an estimated total enterprise value of approximately $2.8 billion. The purchase price represents a premium of approximately 38 percent to Nortek's most recent closing price on July 5, 2016, and a premium of approximately 80.4 percent to the volume weighted average price over the prior six-month period. According to Bloomberg, this is the first transaction involving a U.K.-based acquirer since Great Britain voted to leave the European Union in June. To complete the transaction, Providence, RI-based Nortek—a diversified company that designs and manufacturers air management and technology solutions for residential and commercial applications—will merge with Nevada Corp., a newly created wholly owned subsidiary of Melrose, which will then be acquired by Melrose. "We are very pleased to have reached the proposed agreement with Melrose Industries, which represents a significant premium for our shareholders," said Nortek's president and CEO, Michael J. Clarke. 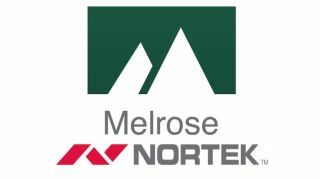 "We believe this partnership with Melrose will enhance Nortek's ability to further leverage its industry-leading brands and market positions to continue driving profitable growth. We believe this transaction will be a positive for our employees and customers alike." The closing of the transactions is subject to Nortek stockholders validly tendering more than 50 percent of the outstanding shares of Nortek common stock. This should not be an impediment, however, as 68.7 percent of Nortek’s stock is held by Ares Management LLC, Anchorage Advisor Management LLC, and Gates Capital Management, Inc., and all three firms have agreed to tender their shares. The merger agreement also provides for a “window-shop” period through August 6, 2016, during which Nortek may enter into discussions and negotiations with third parties that submit an unsolicited proposal to acquire the company. Should Nortek agree to accept a superior proposal prior to 11:59 p.m. on August 6, 2016, Nortek would be required to pay to Melrose a termination fee equal to $50 million. "We have watched and admired Nortek's progress and we are convinced we can steer this fine business to achieve its full potential," said Melrose's chairman, Christopher Miller. "We see a company full of hard-working, dedicated people who are really good at what they do. We can harness those strengths by meaningful long term investment and a vision based on our own experience in similar and relevant markets down the years. Melrose has been a highly successful custodian and builder of U.S. businesses and we are confident that we can bring that expertise to build Nortek for the long term."